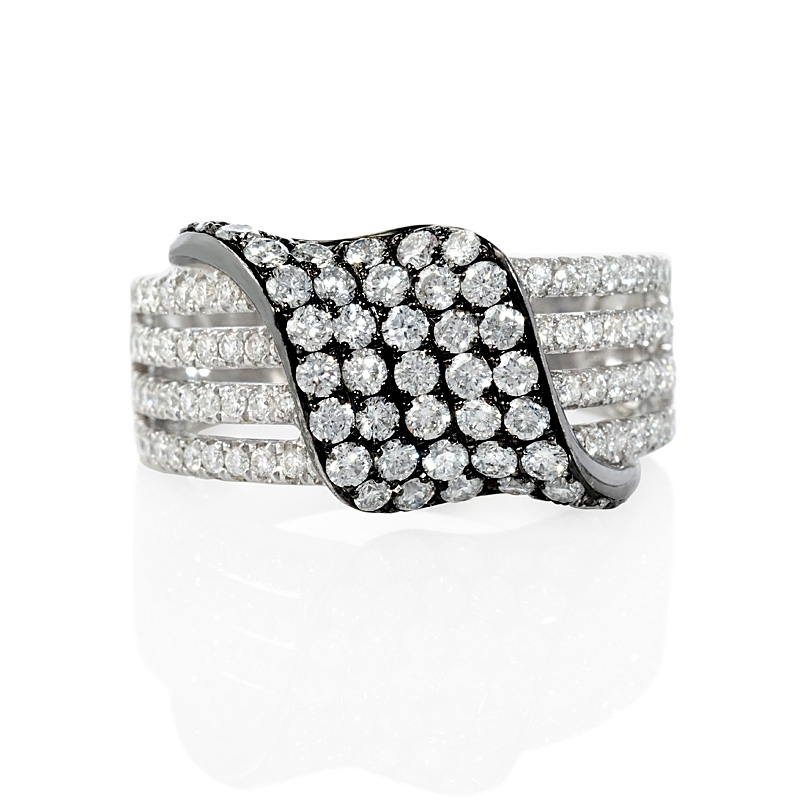 Diamond Details: 123 Round brilliant cut white diamonds, F color, VS2 clarity, excellent cut and brilliance, weighing 1.19 carats total. 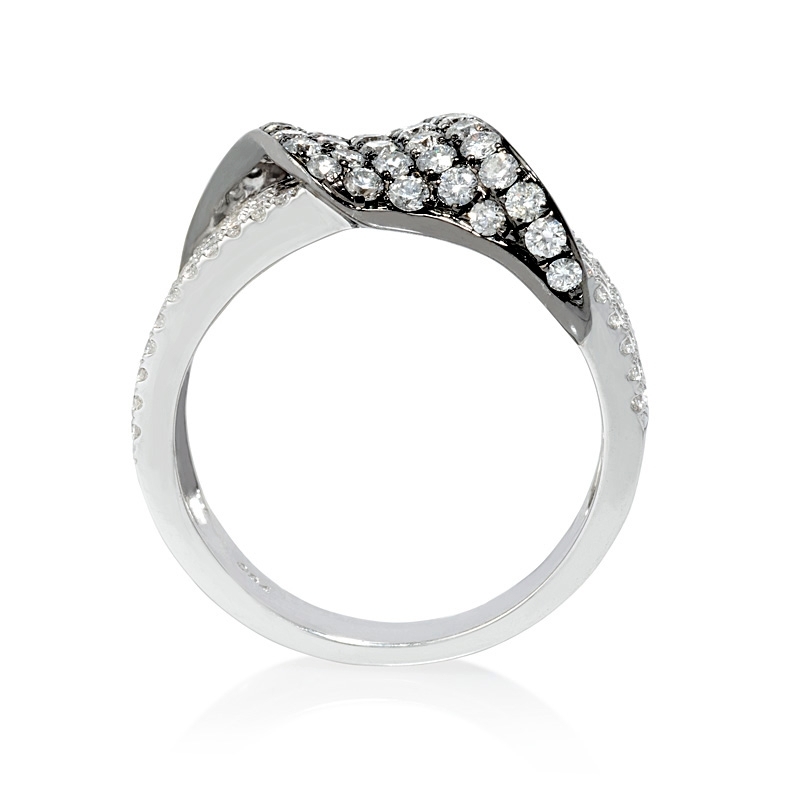 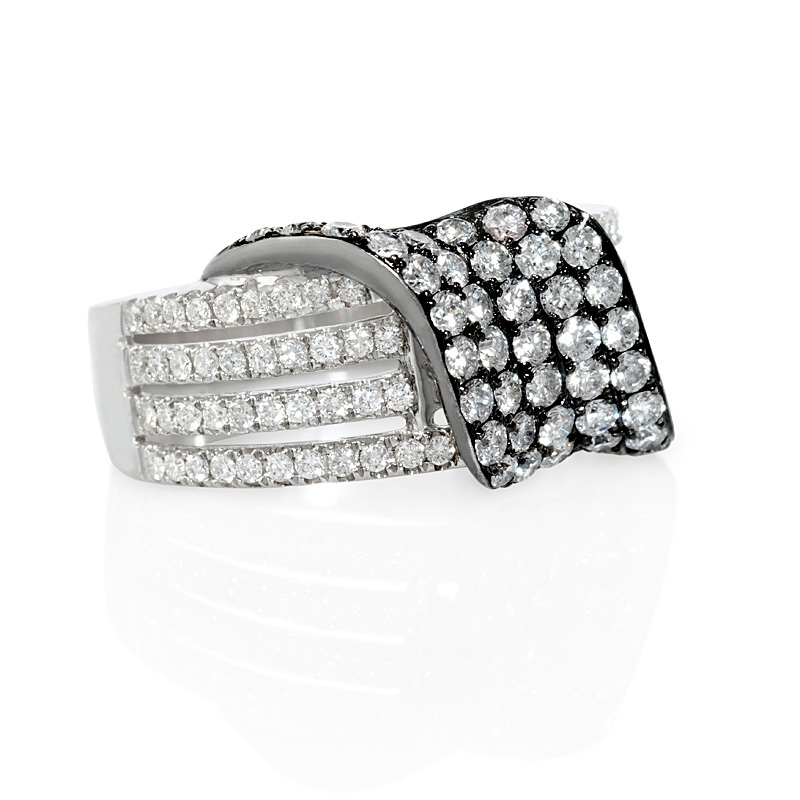 Ring Details: 18k white gold and black rhodium right hand ring design. This magnificent 18k white gold and black rhodium right hand ring, features 123 round brilliant cut white diamonds, F color, VS2 clarity, excellent cut and brilliance, weighing 1.19 carats total.